Green 70mic translucent protection film adheres well to both glass and aluminium – UV stabilised for up to 6 months. 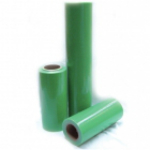 Film is 1200mm wide and is available in both 100mtr and 200 mtr rolls and can be slit to size. 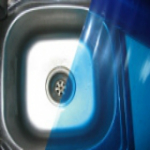 Blue 50mic translucent protection film adheres to a range of surfaces including glass, laminates, painted surfaces, benchtops and aluminium and removes cleanly with no adhesive residue – UV stabilised for up to 6 months. 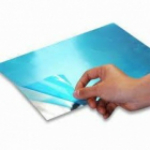 Film Comes 1200mm or 850mm wide x 200mtr and can be slit to size. 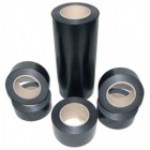 Black 115mic PVC protection tape adheres well to both glass and aluminium, removing cleanly and leaving no adhesive residue. The product possesses a medium tack and excellent weatherability. Can be slit to size. 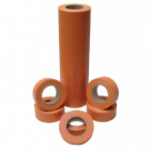 Orange PVC is a similar product to the black protection tape, except slightly thicker and possesses an ‘easy unwind’, meaning it can be taken off the roll in wide sizes more easily. Can be slit to size.